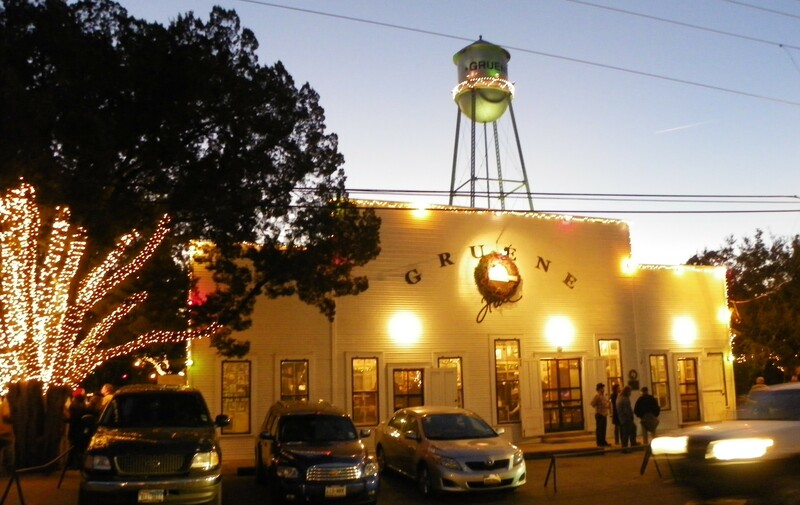 Nestled midway between Austin and San Antonio, Gruene is in the sweetspot of Texas tourism. Actually, it is more like the “heartbeat of Texas tourism” because it is home to legendary Gruene Hall, Texas’ oldest dancehall. Gruene Hall has featured an endless list of famous musicians…from Lyle Lovett, to Willie Nelson, to Buddy Holly, and the list goes on and on. Gruene also is home to exceptional dining establishments. The Gristmill Restaurant is adjacent to Gruene Hall and seats over 1,000. It is among Texas’s largest restaurants and is one of the most unique dining spots in Texas. Set in a former Cotton Gin, the Gristmill features terraced outdoor seating overlooking the Guadalupe river. Gruene has numerous shops, bed and breakfasts, river outfitters, wineries, and more. The town hosts festivals, market days and other events. You won’t want to miss A Gospel Brunch with a Texas Twist, Two Ton Tuesdays featuring the band Two Tons of Steel, and wine tasting weekends at the Grapevine where you can sample a plethora of Texas wines. If you would like information on homes or real estate in and around Gruene, Red Mansions Realty can assist you in taking the next step….or should we say “two step”! For further information on Gruene and homes in the area, contact Ted Omohundro at (830) 708-7710 or visit www.GrueneHomesForSale.com. Check out our new sister website: GrueneHomesforSale.com to see Gruene Area homes and waterfront properties! Red Mansions Realty is based in Gruene. Come check is out at 2324 Gruene Lake Drive Unit 200!